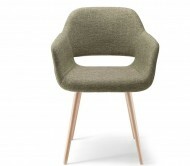 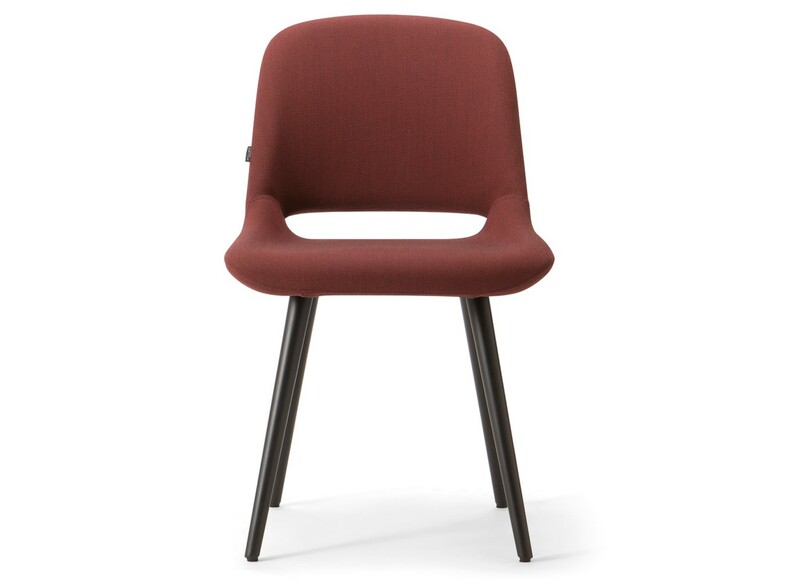 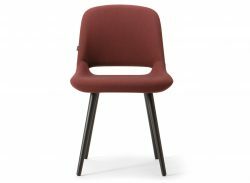 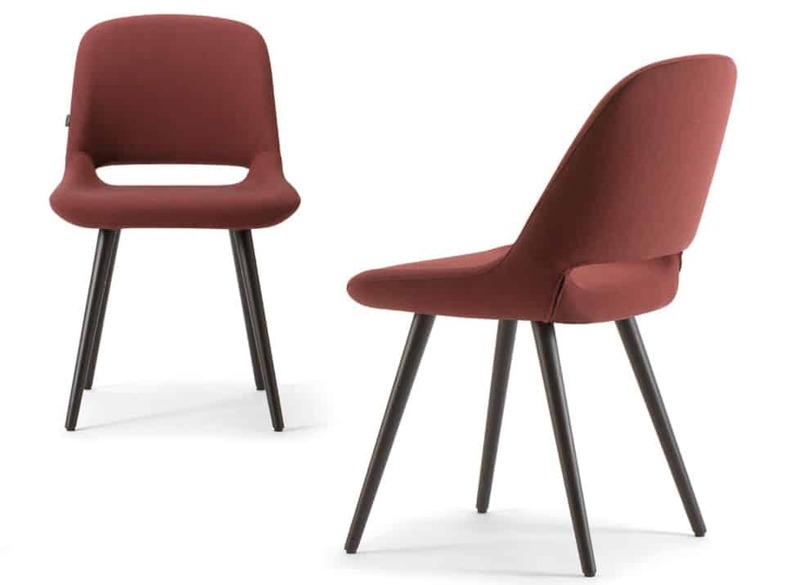 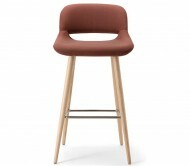 The Magda Side Chair is made of solid ash frame. It can be upholstered in any fabric or leather. 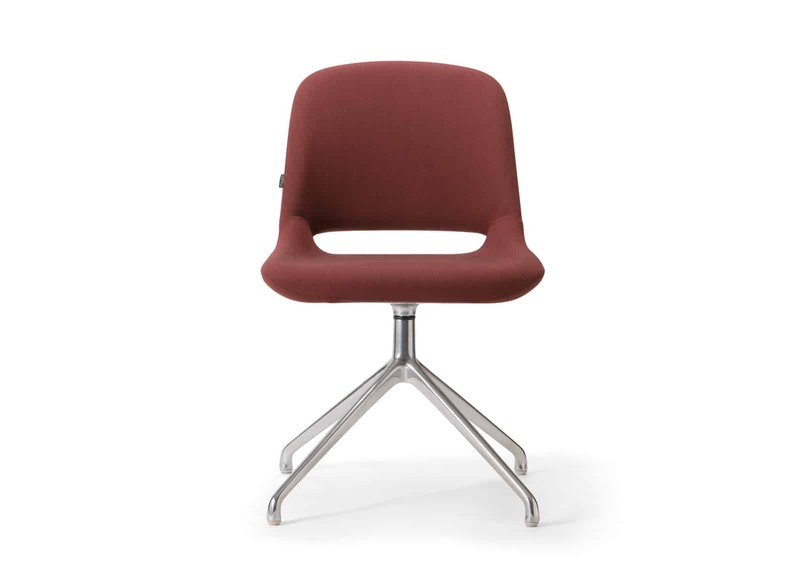 Available with different leg bases includes metal sled and swivel. 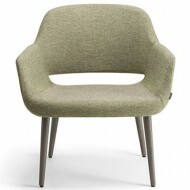 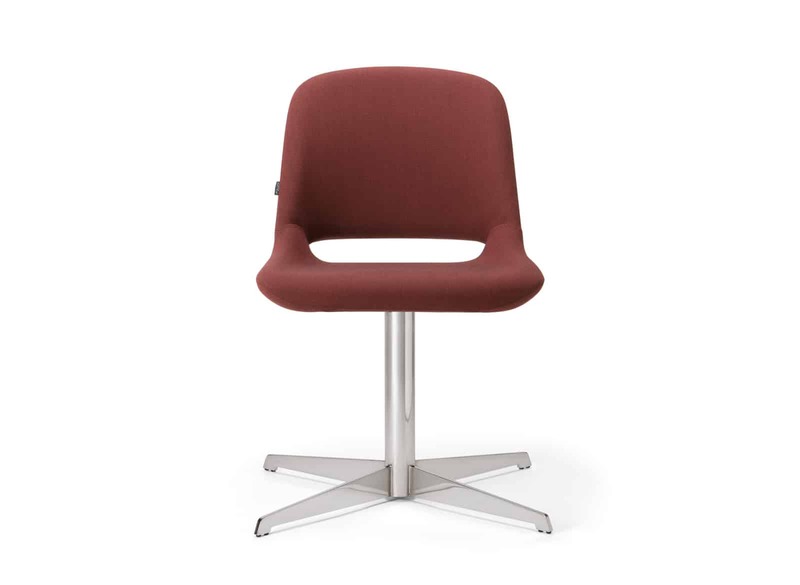 Also available as an Armchair, Lounge Chair, High Stool and a Sofa.